You scream, we scream, we all scream for MILK SHAKES!! We need your support! CHEEBURGER CHEEBURGER of Huntsville will host a fundraiser day on Tuesday, January 20th to benefit the 13 families displaced by the January 7th fire at Imperial Gardens Apartments in Huntsville, AL. Cheeburger Cheeburger will donate 15% of sales for the entire day of January 20th, to be split evenly between all 13 victims. LOCAL celebrities will participate in a MILKSHAKE competition from 6-8 pm on the day. We’re excited to announce that our very own, Amanda Howard will be a celebrity chef in the CHEEBURGER CHEEBURGER fundraiser! Amanda will create her very own milkshake recipe and you can show your support by coming by for a sample, and voting! How do you vote? With your DOLLARS of course!!! A Winner will be declared, but all proceeds will go to the victims. HUNTSVILLE BUSINESS COMMUNITY, How can you best support this fundraiser? Place a call in, to go order for lunch for your office! Keep in mind that 24 hour notice for large orders is preferred. Let’s make this a HUGE event for our community! 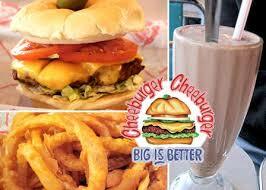 We ALL want to help, and WHO doesn’t love a GREAT CheeBURGER?!!?? Come with your families and friends to support! Yummy! Can’t wait for Tuesday the 20th!! !